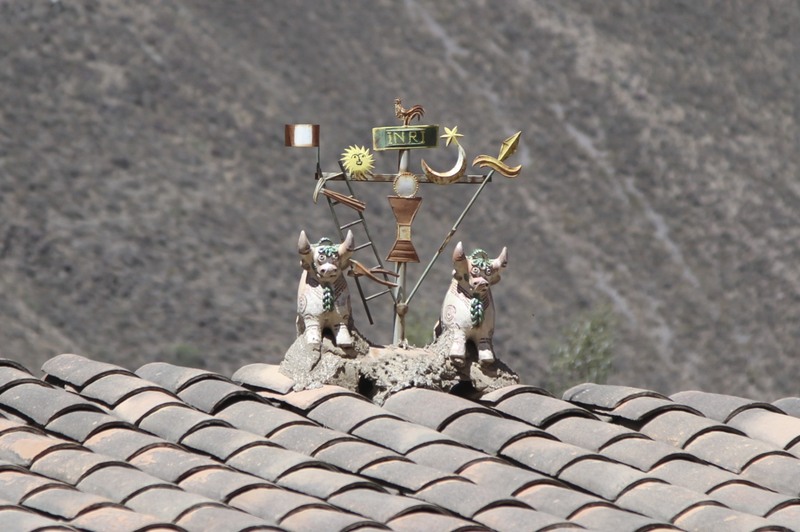 Almost immediately after crossing the border between Bolivia and Peru I began noticing a range of mysterious ornaments adorning the tops of houses. Some had obvious religious significance, others were less easy to interpret. Either way, I’d never seen this in Bolivia before. I’d been puzzling over this for two weeks, but it wasn’t until we stopped in the small town of Pucara en route to Puno that light was finally shed on the conundrum. 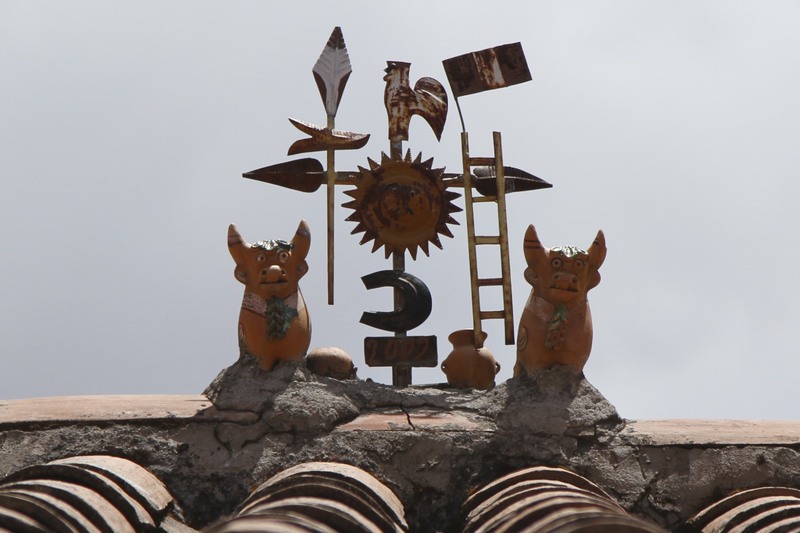 Pucara is the home to a local history museum and while not particularly well maintained the exhibits are interesting and, it turns out, Pucara is the centre of production of the ceramic cow roof decorations. 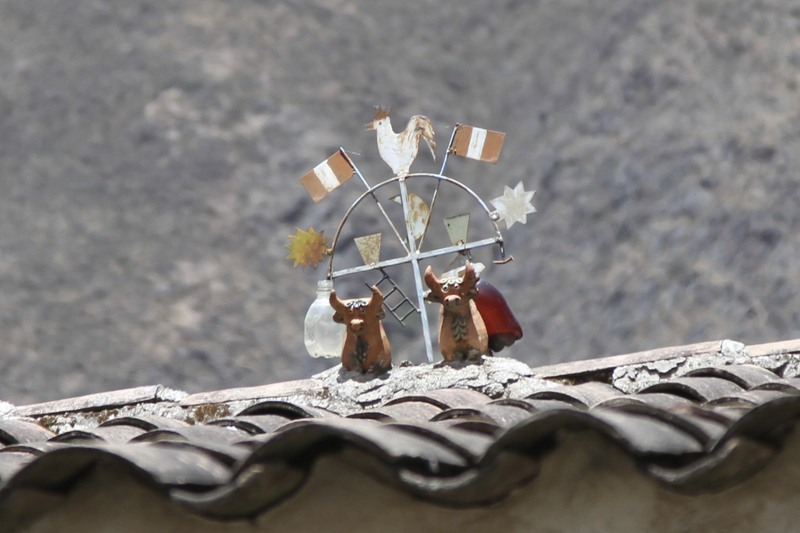 Known as Torito de Pucara, they are placed on the roof for good luck, fertility (of crops and livestock) and to bring prosperity. 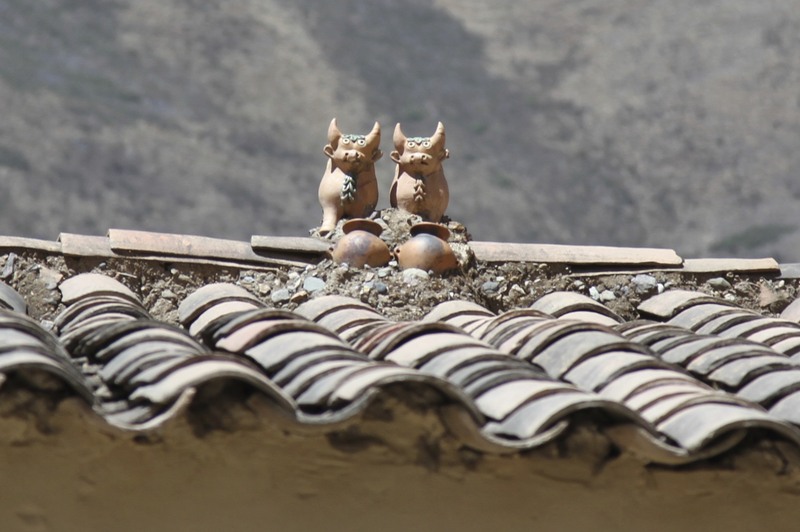 They are typically given as presents for extra luck and pretty much every building you see in southern Peru has one of the decorations on its roof. 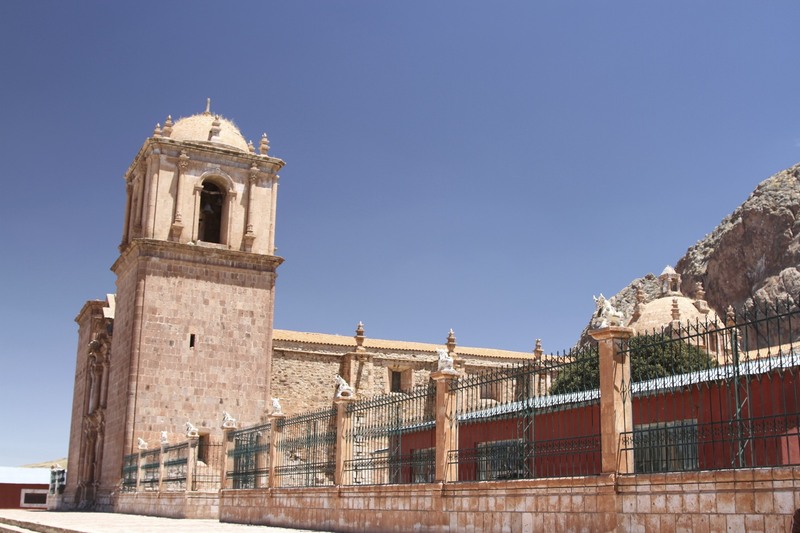 The tradition is one that pre-dates the Spanish. 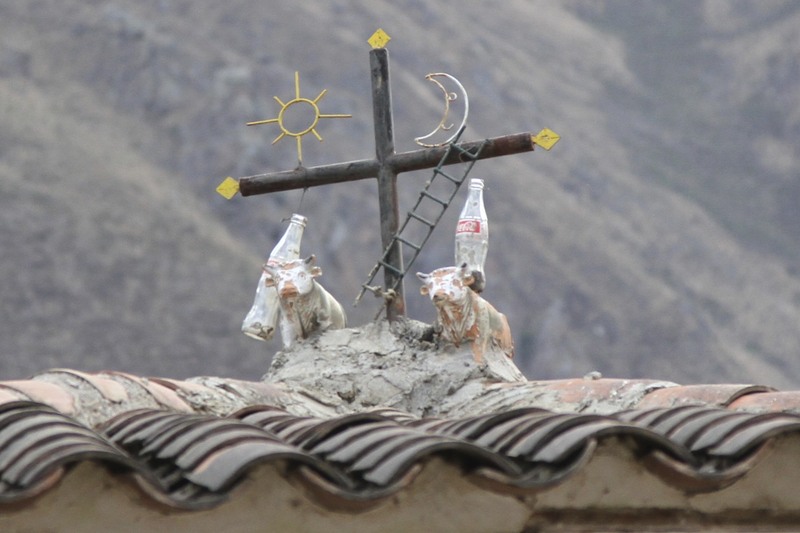 In Inca times the obvious difference in decoration would have been llamas replacing cows and an absence of Christian symbolism (it’s unlikely they would have had coke bottles either, but you never know). Today, they retain the same meaning but have been ‘Christianised’ and largely contain Christian symbolism alongside centuries old symbolism of traditional beliefs – for instance the sun and moon. 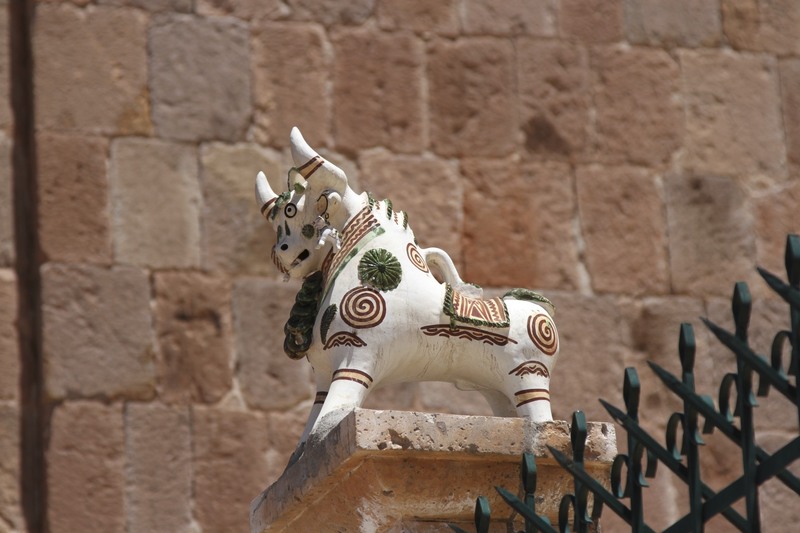 As befits the church in the home of the ceramic cow, the church in Pucara is uniquely decorated with statues of ceramic cows that mimic the ones seen on the rooftops of southern Peru. There is some irony in this as the original meaning of the decorations was to honour Pachamama, the Inca earth goddess. 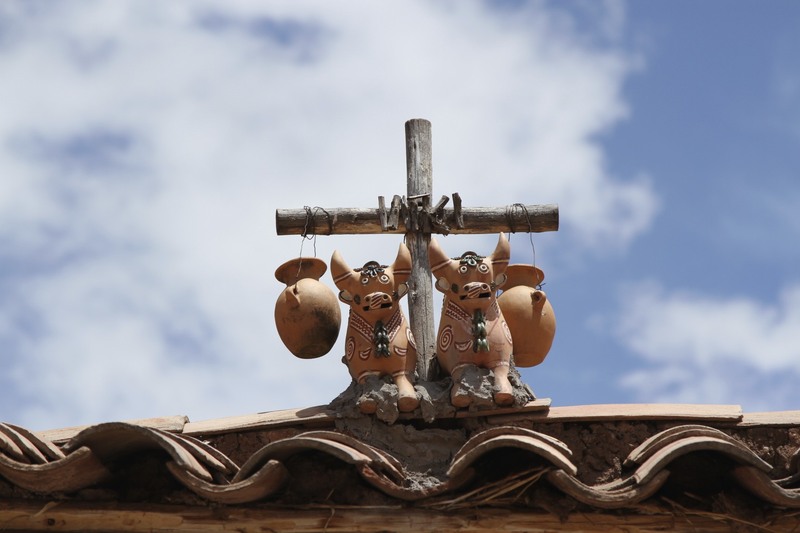 As with so much to do with religion and belief in this part of the world, it is another example of the fusing of traditional and Catholic beliefs that is very common in Bolivia. It is difficult to tell whether there is just a veneer of Catholicism and people continue to believe the old traditions or whether the two religions are truly entwined in a way that makes it difficult to differentiate between them.